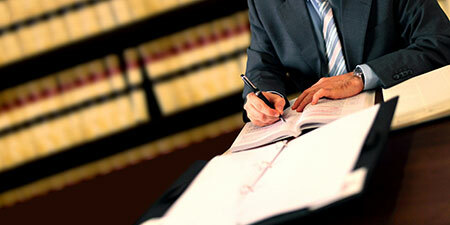 Probate Administration | Estate & Guardianship Managment Services, Inc.
Probate is a court-supervised process. Whether a person has left a will or died intestate administering a probate can be a daunting task. A few of the legally required probate tasks include identifying and marshaling estate assets, filing an inventory, accounting to the court and to beneficiaries, paying or objecting to claims filed against the estate, managing/selling property, filing taxes and distributing assets. The individual in charge of carrying out these tasks is called the personal representative or executor of the estate. The personal representative, though required to be represented by an attorney, has a personal fiduciary duty to both creditors of an estate and its beneficiaries, in addition to a legal duty to carry out his/her duties in accordance with the law. If an individual has a will, he or she can nominate a personal representative to administer his or her will. If an individual dies without a will, the court will appoint an individual to serve according to the priority set out in the Florida Probate Code. To serve as personal representative of an estate in Florida, one must either be a Florida resident or a family member of the decedent. When drafting a will, one of the most important decisions involves nominating a personal representative. As many attorneys will suggest, you should consider nominating a professional to serve as your personal representative. We are professional personal representatives. As such, we have the expertise and skills to efficiently administer an estate to avoid costly delays and transfer the estate assets to the proper beneficiaries. Our professionals can serve as an independent, neutral party when administering an estate, relieving family’s members from burdensome duties during a difficult time. In addition to ensuring that all legal requirements are properly and efficiently carried out, our professionals have relationships with financial institutions, attorneys, real estate agents, and other professionals in the local area to assist in the efficient administration of the estate.